Nicola Furbisher has tendered her resignation as editor of the Yorkshire Evening Post and managing editor of the Yorkshire Post, and will leave the Johnston Press-owned titles at the end of the year. 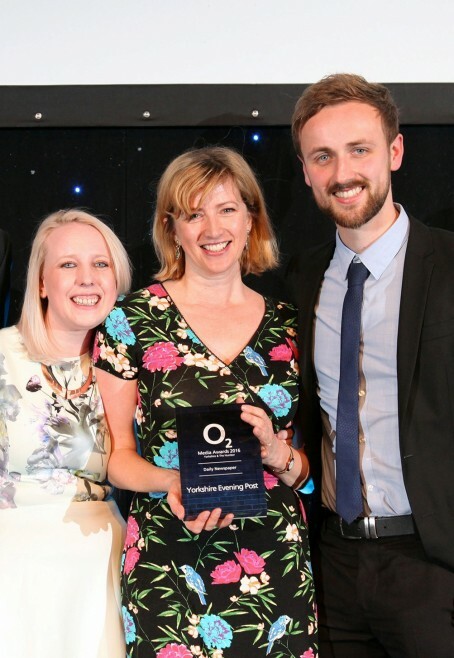 But Nicola, left, ensured she will go out on a high after the Post scooped the Daily Newspaper of the Year title at last night’s O2 Media Awards for Yorkshire and the Humber. Nicola took charge of the paper last December after a reshuffle that saw the YEP editorship restored as a dedicated role, having been combined with that of YP editor between 2012 and 2015. She told Yorkshire editor-in-chief James Mitchinson of her decision on Wednesday and subsequently announced it in an email to staff which has been seen by HTFP. She said: “My reasons are wide and varied and mainly because there’s so much else I want to do. “When opportunity knocks on the door, it’s rude not to open it (so they say) and I put many projects on hold when I left Brussels to return to Leeds which I now want to explore further. “I have been blessed to work with such a wonderful group of people and know that, through you, our journalism is in safe hands. Nicola began her career on her hometown paper the Brighouse Echo in 1986 and was an award-winning reporter with the YP in the 1990s. She went on to become deputy editor of the YEP for seven years before being appointed to her first editorship at the Derbyshire Times in 2010. In 2011, she took a temporary break from newspapers to move to Brussels with her husband, former Sheffield Star editor John Furbisher, who was working at the European Parliament at the time. 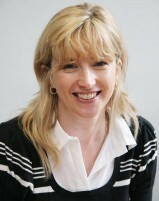 She returned to JP in 2013 as managing editor of JP Yorkshire and number two to the then editor Jeremy Clifford at both the YP and YEP before moving into her current role. Nicola, centre, pictured at the O2 ceremony with YP/YEP head of news Laura Bowyer, left, and Jonathan Brown who led the Be A Hero organ donation campaign. Good luck to Nicola. I worked as a sub at the YEP from 2004 to 2011. In January 2005 my dad died – at a good old age, thank God. The firm were generous with time off for bereavement and when I returned after a couple of days I was genuinely moved when Nicola told me to feel free to take further time off if I needed to deal with paperwork, etc. I didn’t need to but I appreciated the gesture – I had not even been with the YEP for seven months. How different from the attitude of an evening newspaper in a neighbouring city where I worked as a reporter and sub from 1988 to 1999. On a certain date in March 1999 I informed them that I would be attending my father-in-law’s funeral. A few days later, I was asked what time the funeral service was and if I could return in the afternoon. I replied: “I am going to the funeral of my wife’s father.” I left in December, 1999 – one of my better decisions. The world’s gain – JP’s loss. My very best wishes for happiness and fun in the future.